While pumpkin spiced confections may be all the rage, pumpkin seeds are a timeless enjoyment that brings back childhood memories. 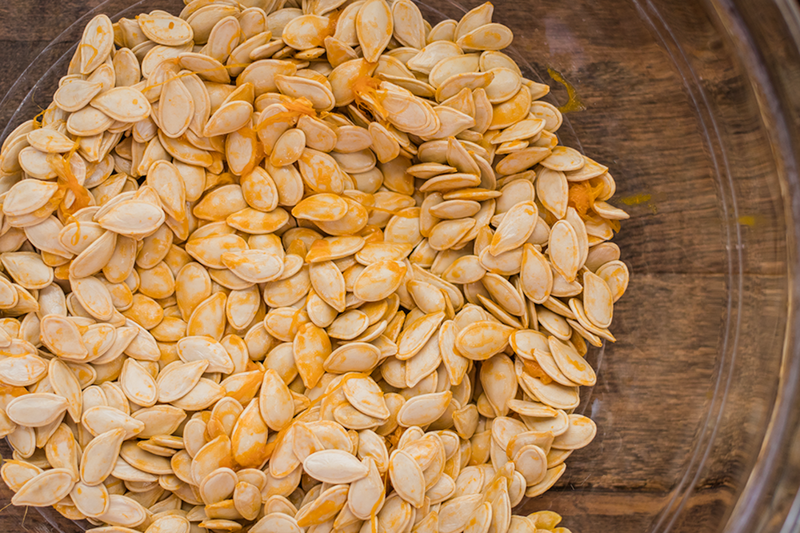 There&apos;s nothing like a handful of warm, crunchy pumpkin seeds on a crisp autumn day. Mastering how to roast pumpkin seeds is simply a must. 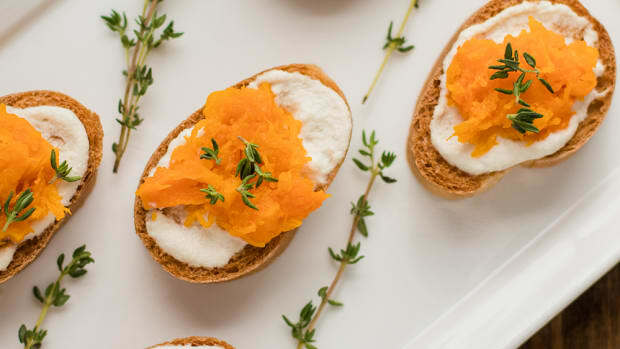 This recipe uses a secret method to ensure savory, crispy pumpkin seeds. 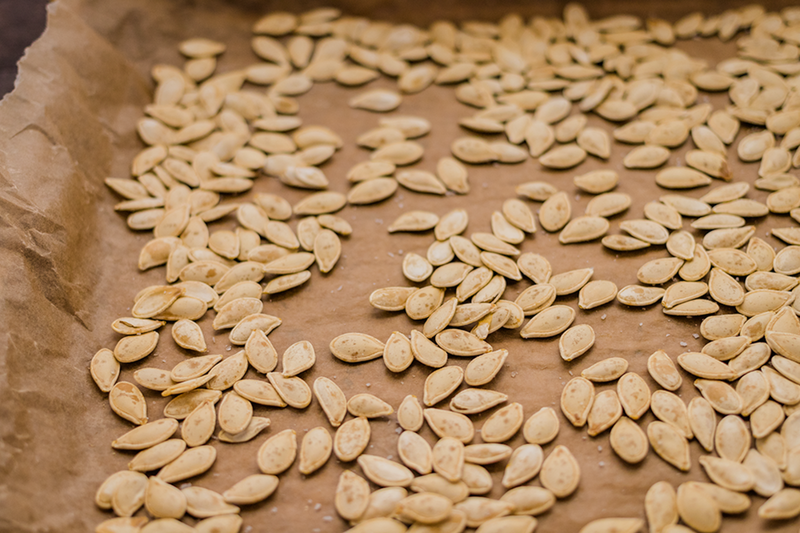 By boiling pumpkin seeds before roasting, the seeds will be digested easier, roast better, and be salted to perfection. This method only takes an extra ten minutes and will have you wondering why you didn&apos;t try it sooner. Pumpkin seeds are also a great source of manganese, phosphorus, magnesium, copper, zinc, protein, and iron. 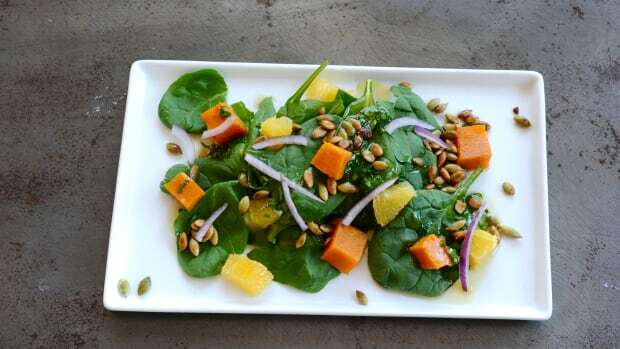 It is believed that you can receive more zinc by eating the whole pumpkin seed including the shell. Directly beneath the shell is a layer which tends to be rich in the mineral. 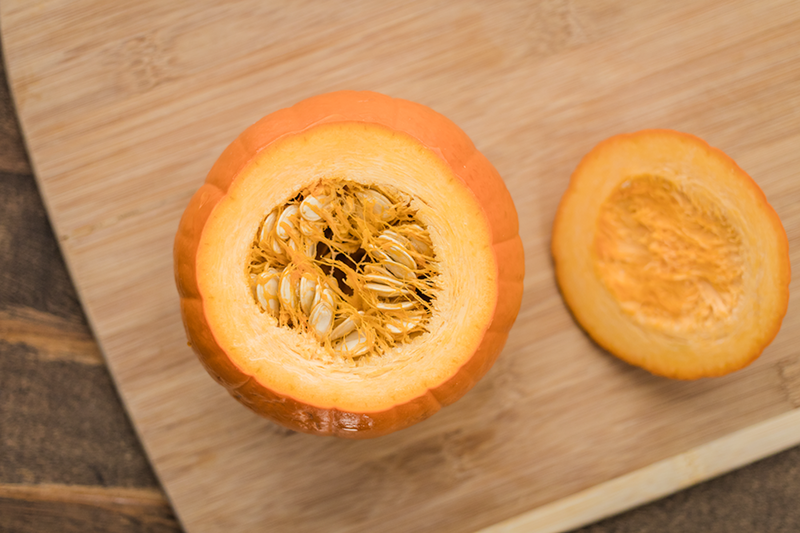 Since the seeds have been boiled, eating the shell won&apos;t make pumpkin seeds harder to digest. 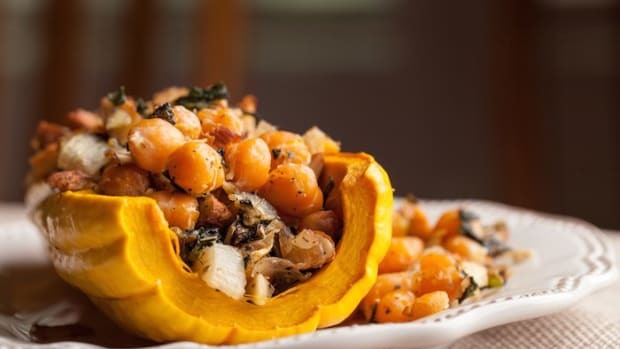 You can also roast butternut squash, spaghetti squash, and acorn squash seeds. Simply follow the same steps as below. 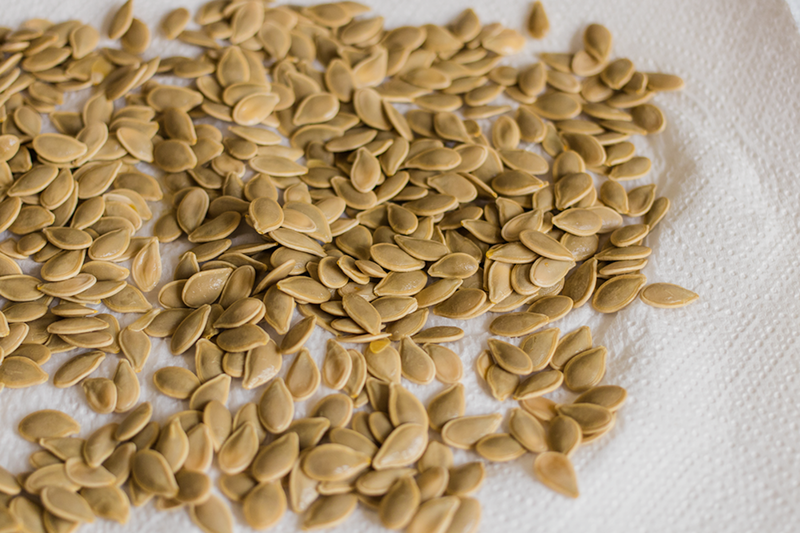 If the seeds are smaller than that of pumpkin seeds, then you will want to roast them for a shorter amount of time. You&apos;ll want to make sure that the inside isn&apos;t burning. First, try halving the time to ten minutes, try a seed, and go from there. If not crispy yet, roast for longer. To start, cut open your pumpkin. Remove the seeds from the pulp by scraping the interior. Try to only place the seeds in your bowl but if some pulp gets in, that’s okay since it&apos;ll be removed later. Bring a pot of salted water to boil. Add the pumpkin seeds. Boil for ten minutes. Drain into the fine mesh strainer and rinse with cold water. 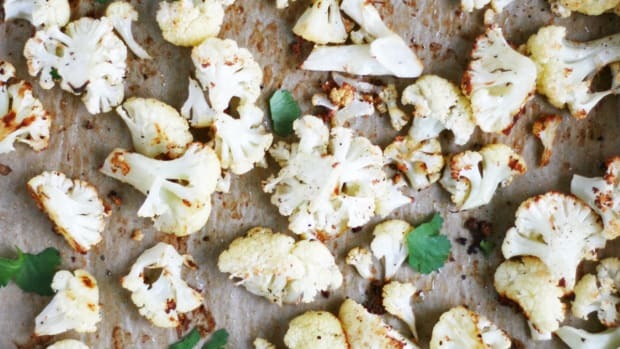 You’ll need to dry the seeds, which you&apos;ll do next. You can hasten the process by placing the mesh strainer in the warm pot that was used to boil the water since its heat will help evaporate the moisture. Preheat the oven to 325 degrees Fahrenheit. 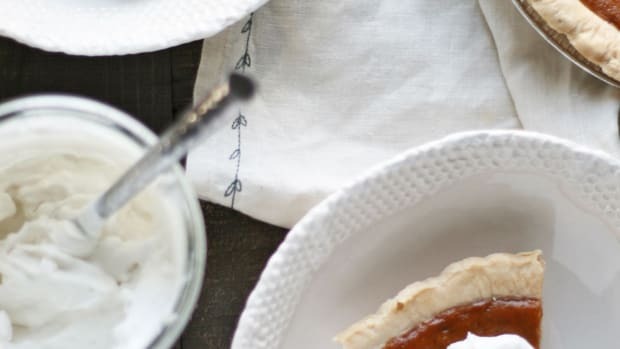 Line a large rimmed baking sheet with parchment paper or a baking mat. 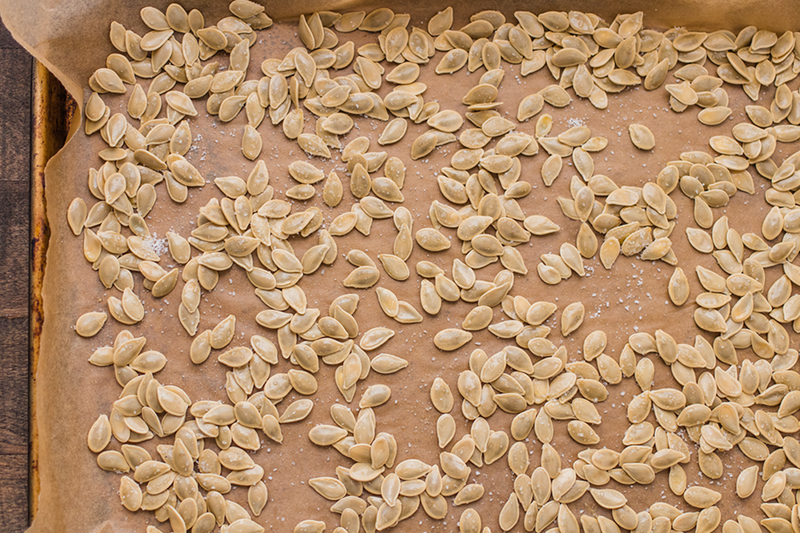 Add the cleaned and dried pumpkin seeds to the baking sheet. 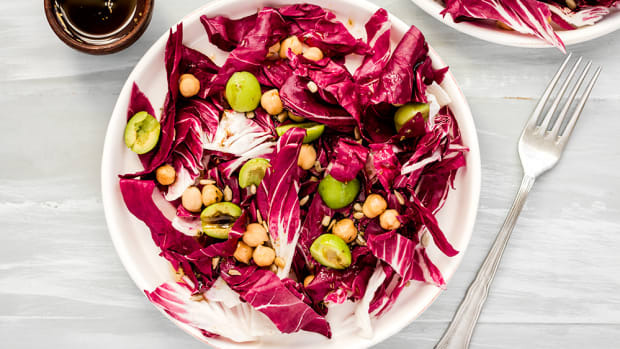 Drizzle with two teaspoons olive oil. Sprinkle one teaspoon of sea salt. 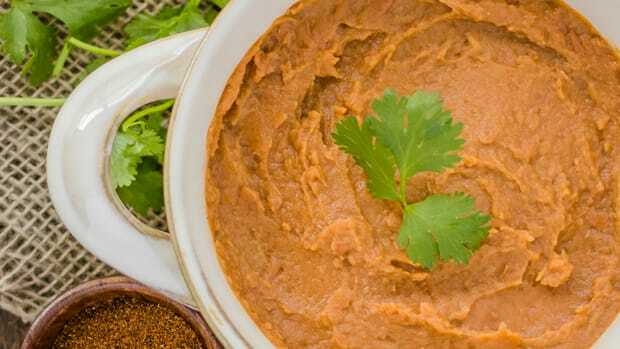 Mix well and then spread into a flat, even layer. Bake for 20 minutes, tossing the pumpkin seeds halfway through. Once timer, goes off, test a seed. If it’s not crispy enough, return to the oven for an additional two minutes then check again. 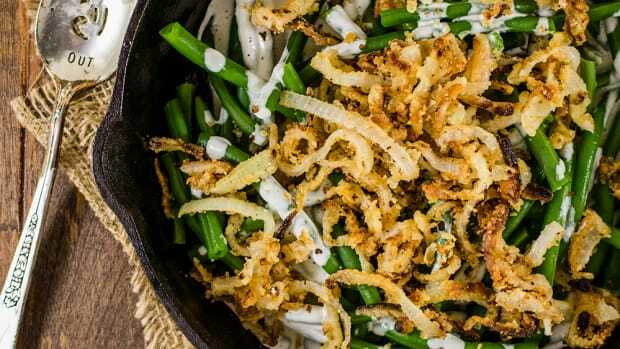 Once crispy, let cool for five minutes. 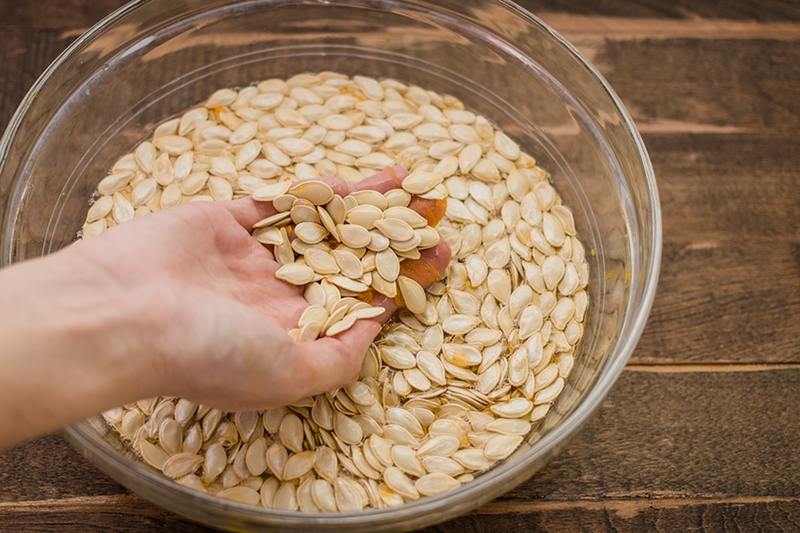 Pumpkin seeds can be stored in an airtight container for two weeks in the pantry or up to one month in the refrigerator. Enjoy! To start, cut open your pumpkin. Remove the seeds from the pulp by scraping the interior. Try to only place the seeds in your bowl but if some pulp gets in, that’s okay since it'll be removed later. Fill the bowl of seeds with water. The pumpkin seeds should float on top. Swish the bowl around to loosen the seeds from any remaining pulp. Let settle for about a minute. 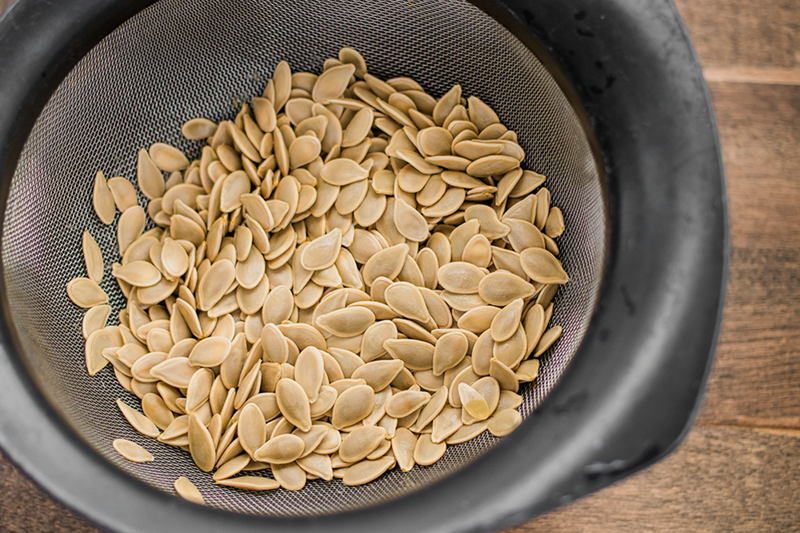 Using a slotted spoon, skim the pumpkin seeds from the bowl and transfer to a fine mesh strainer. Then, rinse the seeds really well and detach any leftover pulp. Bring a pot of salted water to boil. Add the pumpkin seeds. Boil for ten minutes. Drain into the fine mesh strainer and rinse with cold water. You’ll need to dry the seeds, which you'll do next. You can hasten the process by placing the mesh strainer in the warm pot that was used to boil the water since its heat will help evaporate the moisture.